It feels like I haven't sat down to write a post in months, when in actuality it's only been just over a week. But boy what a week it has been. I debated whether or not to write this post because I don't know how interesting people will find it, but at the same time I like to have my blog not only as a resource for reviews and mental health bits and bobs, but also almost as an online diary where I can document what is happening in my life at the current moment. And the past weekend is for sure one I never want to forget. There are not many people now who haven't heard of RuPaul's Drag Race. It's become a global phenomenon, and the top queens who have come from the show are touring the world, making a lot of money, and even winning Celebrity Big Brother (looking at you, Courtney Act). DragCon is Ru's big annual event in LA and now NYC, but before last year we in the UK had to miss out on these weekend events. But the very first DragWorld took place in August last year, and I had such an incredible time I knew I had to go back again this year. As I write this, DragWorld 2018 ended two days ago and I'm still feeling the post event depression. It was one of the best weekends of my life, I had the best time with some of the best people, and the talent on display in the event room was just insane. I have long been a fan of drag race, but more than that these days I am a fan of the huge UK talent. 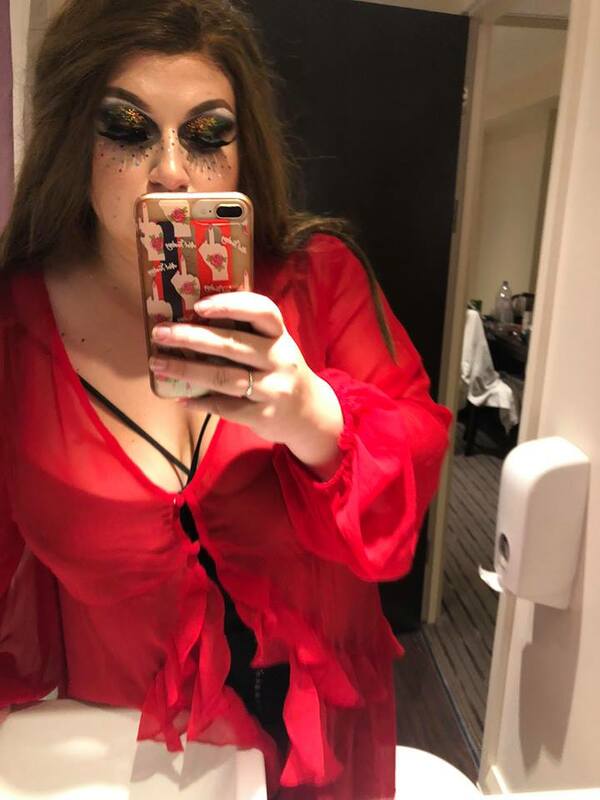 Kings, queens, drag performers of all kinds, the UK has an abundance of them and so many were representing at DragWorld. I've written previously about my favourite venue Her Upstairs which - unfortunately - had to close it's current doors back at the beginning of August, and so it was lovely to be able to see all the drag performers who called Her Upstairs home at their booth. Cheryl, Ophelia, Kitty, Herr, Meth, Tayce, Cara Melle, the LADS, the Kings - all were there and all looked incredible. I spent a lot of the weekend hanging around their booth and chatting to them all, and Kitty Scott Claus owns part of my heart now. Not only is she an incredible queen and singer, but she's also just a genuinely lovely person. I also only spent money at the HU booth, but I bought a lot of prints, and I must remember to buy blu tac at lunch so I can actually stick them all on my wall. The other great thing about having so much UK representation there was that the Catwalk Stage had performances around every 20 minutes from the UK talent, which was so, so cool. I spent so much time both days - but especially on the Saturday - sat watching the performances. Yes, it was because my shoes made standing up an actual nightmare. But it was also because I love watching these drag performers do what they do best more than anything in the world. Highlights included Zayn Phallic's ode to the 90's, Ophelia mashing together Madonna and Ariana's God Is A Woman, Herr's Countdown number, Tayce's ASDA number, and Chiyo. There were also non-HU UK drag performers floating around, and it was delightful to be able to see Crayola, as well as Crystal Lubrikunt again who never fails to be both an incredible performer and a really lovely person. Surprisingly, she also recognised me which I was impressed with considering I haven't been able to get out to one of her shows since March. 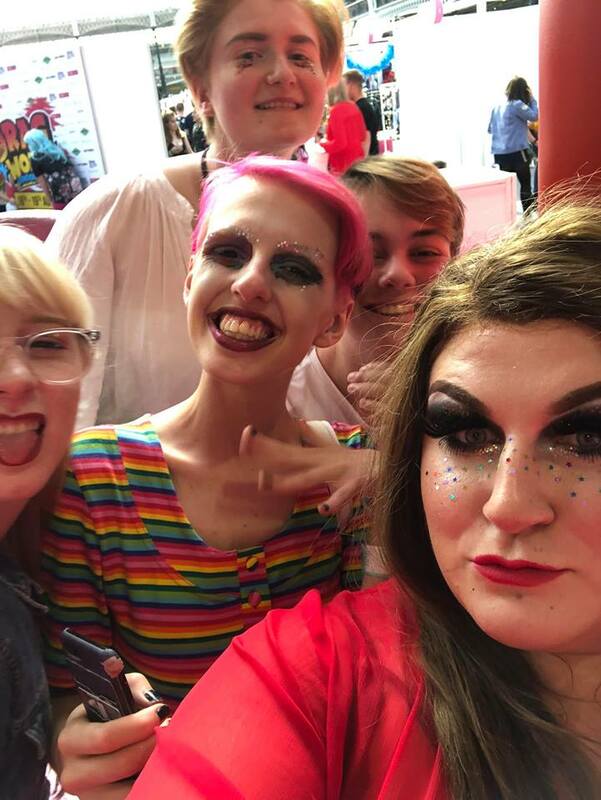 Of course, DragWorld wouldn't be DragWorld without the queens from drag race, and it was so lovely to meet some of my favourites, as well as new queens I haven't met before. 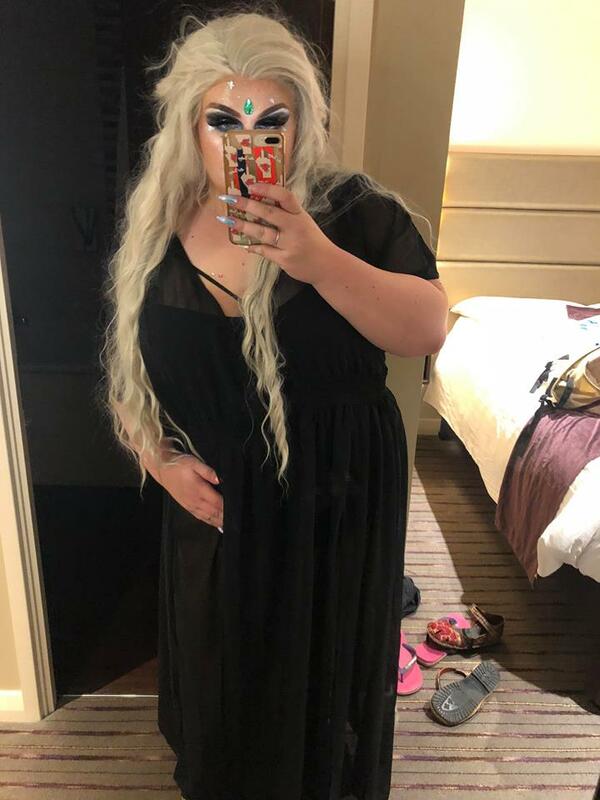 On the Saturday I had M&G for Darienne Lake, who is an incredible queen and a really genuinely lovely person. On the Sunday I met Jinkx Monsoon and Bendelacreme, who have long been two of my favourite drag queens. As before, they were just stunning and lovely and I love being able to meet them. 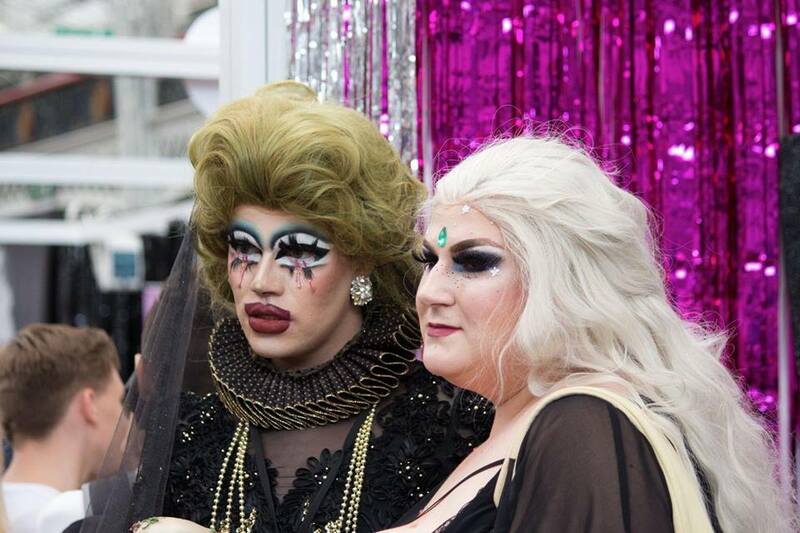 I met Dela towards the very end of Sunday, and she never fails to make me feel beautiful. I also got to meet Biblegirl and Biqtch Pudding. They aren't drag race queens, but they are bloody good at what they do. Biqtch won the Boulet Brother's Dragula Season 2, and not only is she just an insanely talented queen, but she's also genuinely lovely and we had such a good conversation. I met Bible for the first time last year, and once again she was just a delight. And look so, so good. One of the absolute best parts of the weekend was also getting to meet the LAD's. Lilly Snatchdragon, Lolo Brow, and Scarlett O'Hora. 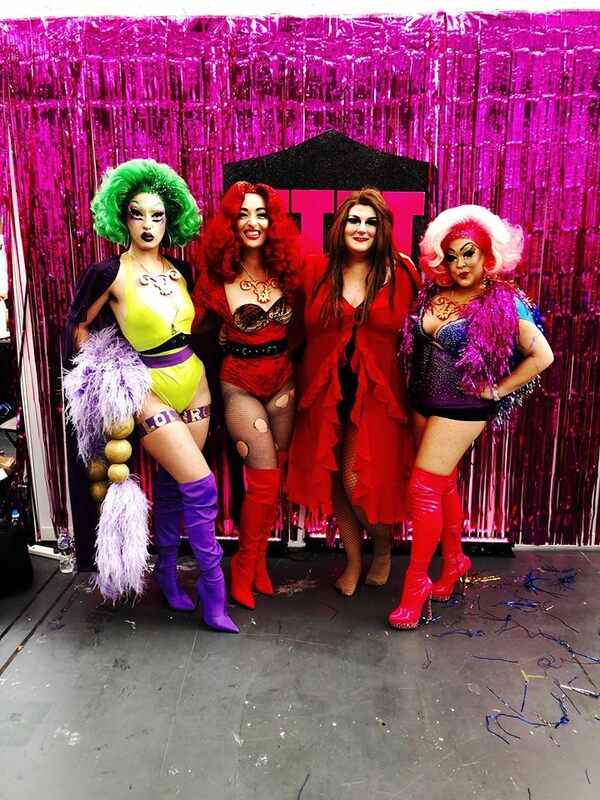 They are three incredible AFAB femme queens, and I've admired their work for such a long time that getting to meet the three of them and tell them how cool it is to see three amazing women performing and doing what they love regardless of whether or not they 'should' be on stage, in drag. I've also never felt this beautiful in a photo which is saying something when I'm in a photo with three of the most gorgeous women I have ever met. But of course, DragWorld wouldn't have been DragWorld without the incredible friends I was there with. Some of them I've known for over a year now and treasure the time I get to spend with them so much - Phills, Mikey, Jinx, Kelly, and Abbie. But some of them I met for the first time this weekend and instantly clicked with - Nina, Leo, Max, Micha, and Tom - and I am insanely grateful for their company throughout the weekend. I shared a room with Nina, and because Leo, Max, Jinx, Tom, and Kelly were all in the same hotel we spent our evenings together and it was honestly the best part of the weekend. I value my friendships over almost anything else in the world, and even when we were delirious from the long day and lack of sleep they kept me going. DragWorld was an insane weekend, but an amazing one. I couldn't have asked for a better experience, or to meet better drag performers, or to have better friends. Here's to 2019!